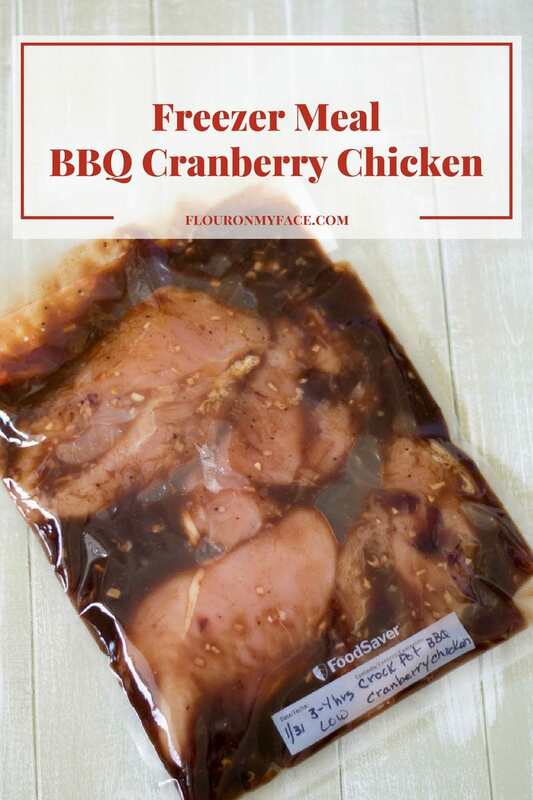 Freezer Meal BBQ Cranberry Chicken is a great make-ahead crock pot chicken recipe perfect for the hot summer months when you are craving barbecue chicken but don’t want to mess around with the grill. 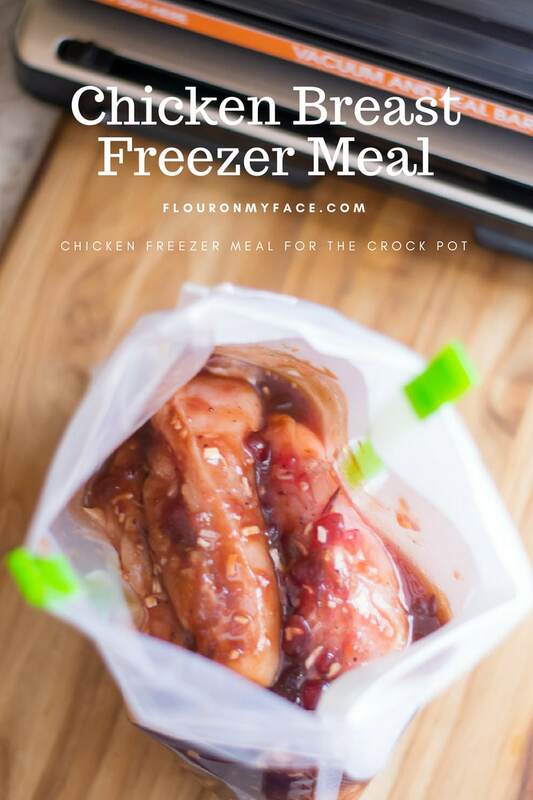 This is one of those easy chicken freezer meals that you can stock the freezer with for you meal planning. 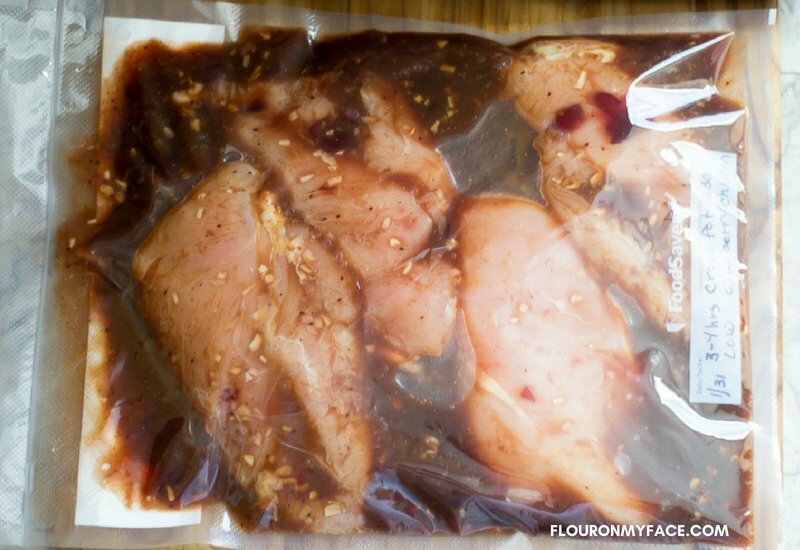 This bbq cranberry chicken freezer meal is easy to freeze and easier to cook in the crock pot. It is a kid-friendly crockpot freezer meal that the entire family will love. You can serve it as whole chicken breasts over cooked rice or pull it apart and make bbq cranberry pulled chicken sandwiches. Have you started meal planning yet? Freezer Meals are perfect when you are meal planning. You can stock the freezer full of dump and go meals that help you get dinner on the table during those busy weeknights. Want to learn How to Start Meal Planning? Check out my meal planning tips. If you’re ready to take control of the dinner hour each week you can print out the new Flour On My Face Weekly Meal Plan and shopping list I share on Thursdays! Sign up for the Flour On My Face Newsletter and have it delivered right to your email every week. Some links in this post are Amazon affiliate links. You can check out the Flour On My Face Influencers page for more of my recommended products. 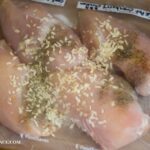 Trim the fat from the boneless chicken breasts (if using chicken breasts) and place into a ziplock freezer bag or prepare a FoodSaver vacuum bag. Place the boneless chicken into the bag. Add the dry minced onion, salt, and pepper to the freezer bag. Pour the cranberry sauce and barbeque sauce into the bag. 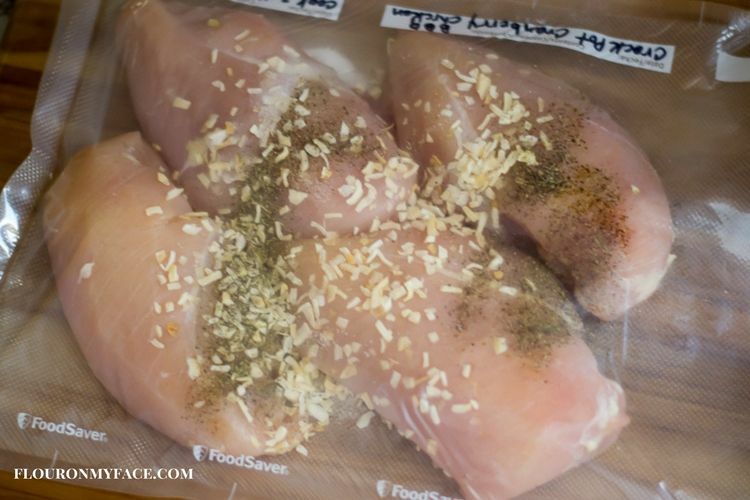 Carefully squash the bag to cover the chicken with the sauce. Seal the FoodSaver vacuum bag (if using) or close ziplock bag, removing as much air as possible. Place bag on a cookie sheet or a flat area inside the freezer. Freeze up to 4 months. Jakori Baggy Rack – 4 Pack: I absolutely love these! Makes filling bags so easy! 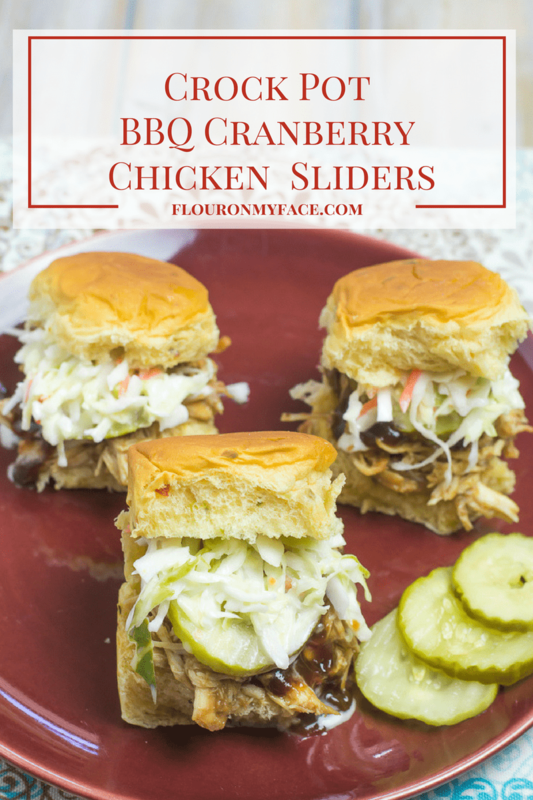 Freezer Meal BBQ Cranberry Chicken is a great make-ahead crock pot chicken recipe perfect for the hot summer months when you are craving barbecue chicken but don’t want to mess around with the grill? Check out the Flour On My Face Freezer Meal Page for all the freezer meal recipes I have ever shared.